With changes in Financial structure of Indian economy, most of the people are looking for alternatives of cash payment. Gone are the days when you had to carry a bag full of money for shopping. Now you can easily swipe your debit/credit card in any major shopping outlet. Payment of electricity/ water bills has become common in urban part of India. But why stop here, when you can do a mobile transaction of even as small as 20 Rs. Furthermore, Apps like Paytm, MobiKwik, Buddy and UPI have shifted the mode of payment to the Mobile / cashless transaction. Also, these Apps provides easy payment of Mobile/Electricity/Water bills, online cash deposit, Grocery/Vegetable Bills, Virtual Wallet etc. And the best part is, you don’t even need a Debit card or a Credit card to carry around. But many people are still afraid to use such apps due to lack of Technical knowledge. Hence we have made a list of 5 Mobile Payment Apps for Cashless transaction /Bill payment in India. These are the most recommended and used apps by people of India. Most of all, they are easy to use and requires minimal technical knowledge. Also, you can Download cashless app from the link provided below them. 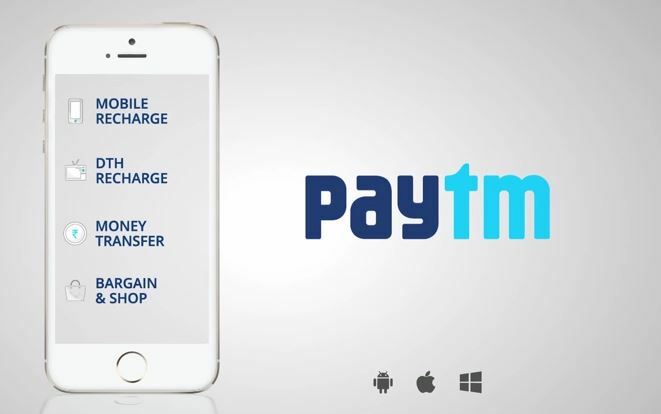 Paytm is one of the most used and recognized mobile payment app in India. It provides facilities such as Mobile recharge, pay bills, book tickets, transfer money, book Movies, online shopping and 100+ other categories.. Paytm has been the face of digital money in India. Millions of people in India use Paytm for their basic money transaction. They even have their own Mobile Payment Gateway. To use Paytm features, you just need to have a registered mobile number and a debit/credit card. 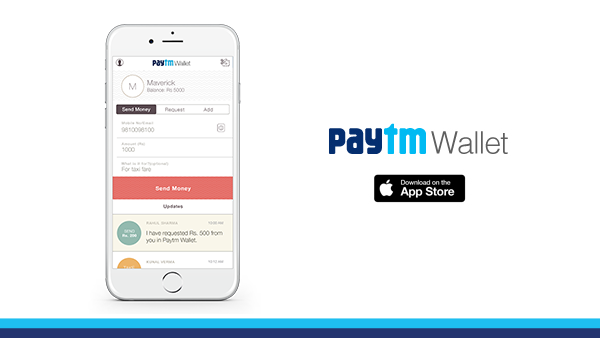 Paytm Wallet features can be assessed by linking your bank account/ Debit card with Paytm account. You can download cashless app (Paytm) from the link below. MobiKwik was first started as a mobile recharge website. But it changed itself to one of the most used mobile transaction website/app. With Mobikwik you can do, online recharge, DTH recharge, Bus Ticket bookings, IRCTC bookings, Prepaid, Postpaid, Electricity, Gas Bill Payments, Insurance Payments & Broadband, Landline, Datacard Bill payments. This app also gives offers on offline & online stores like Bookmyshow, Big Bazaar, Archies, Dominos, Jabong, Myntra etc. Give offers on offline & online stores like Bookmyshow, Big Bazaar, Archies, Dominos, Jabong, Myntra, PVR shows etc. Easy mobile recharge and Money transfer. Payback Points: Payback users can redeem their payback points on Mobikwik website. Pay cashless at more than 5000+ restaurants, café, super-markets, gift shops & physical stores. Book your bus ticket using Net banking, Credit card, Debit card, COD & wallet Payment. Mobikwik wallet limit upto 10,000. Can be increased to 1 lakh by doing KYC. Cash Pickup: You can add money by paying in Cash to Mobikwik. This feature is available in Delhi, Mumbai, Gurgaon & Jaipur only. You can download cashless app (Mobikwik) from the link below. 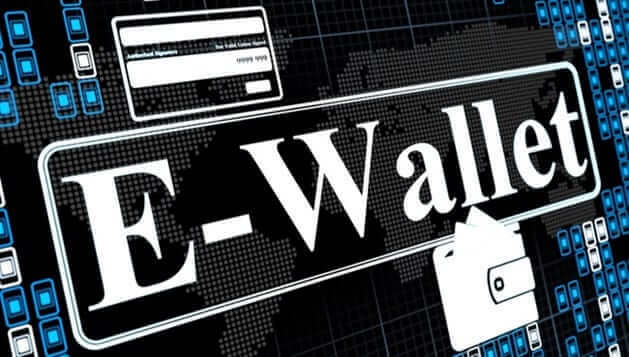 Unified Payment Gateway (UPI) was introduced by the Government of India to increase the use of Digital wallet. This feature allows you to pay through your digital wallet. You can easily make the payment to a supermarket or a Vegetable vendor. It is easy to use and provides hassle free services. With UPI, you don’t even need to carry your debit card/credit card. 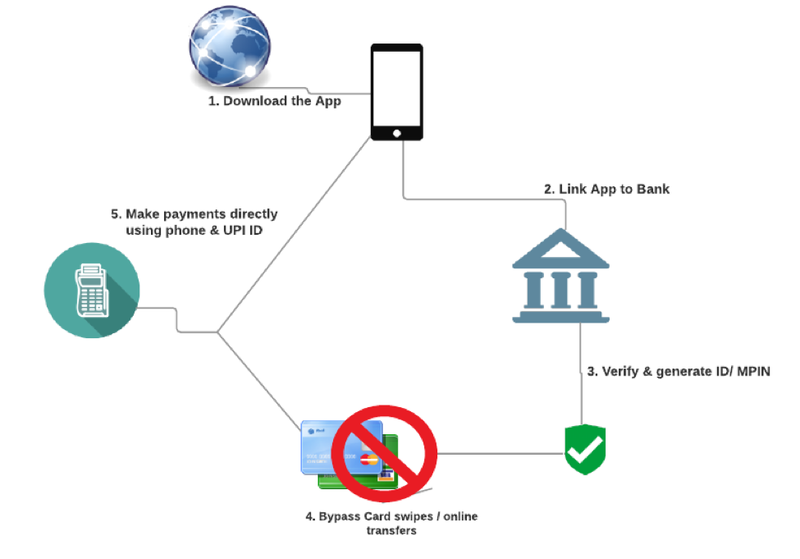 UPI is an alternative to NEFT and RTGS features of money transfer. To use this feature, you will have to download the UPI app of your bank from Google Play store. For example, if you are a PNB user, the just search for PNB UPI app in google. After Downloading the app, register yourself by adding your bank account and Mobile number. Your virtual ID will be created after the registration process is over. While purchasing items from a Grocery store, ask the cashier if his store supports UPI enabled payment. If yes, tell your virtual identity to the cashier. He will generate an UPI receipt which you will have to approve using your mobile phone. Your payments will be done within seconds. UPI is easy to use service and will be the face of the digital revolution in India. Also, it comes directly from RBI, hence you can trust its transaction process. SBI Buddy is a mobile payment app developed by SBI. This app can be used by any user (including non SBI users). Ask money and Send reminders to settle dues, transfer additional cash into an account of your choice free of cost, Recharge and Pay Bills instantly, Book for movie tickets, flights and hotel and shop for your favorite merchandise. SBI Buddy is a good alternative to MobikWik app. Also, you can easily transfer money to any of your friend regardless of their Bank account (even to non-SBI users). To use this app, just register your Mobile number and your Bank account. After registration, you can use any feature of this app. You can download cashless app (SBI Buddy) from the link below. 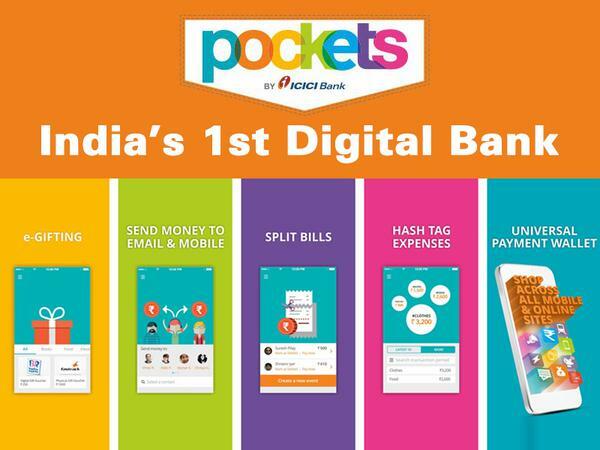 POCKETS is developed by ICICI bank. 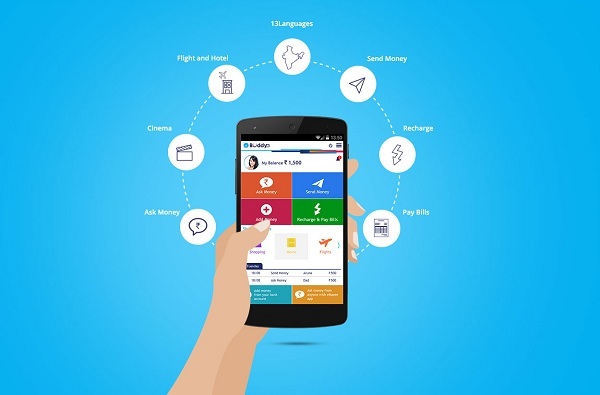 This Mobile payment app is also available to any Indian bank account holder. This app is same as SBI Buddy. Except you can avail additional offers of third party stores such as KFC, Myntra etc. 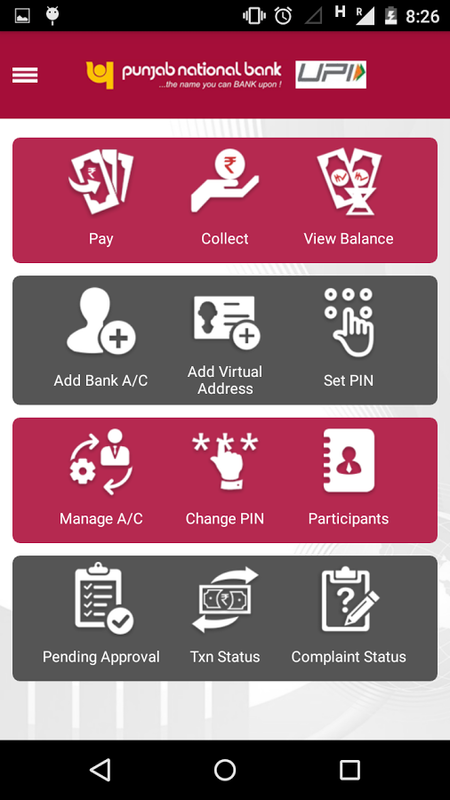 You can also access RBI’s UPI in Pocket app. Hence, ICICI users can avail additional feature of UPI. Download cashless app (Pockets) from the link below. We hope you like this list of 5 Mobile Payment Apps for Cashless transaction /Bill payment in India. If you have any other apps in mind, then do comment below.